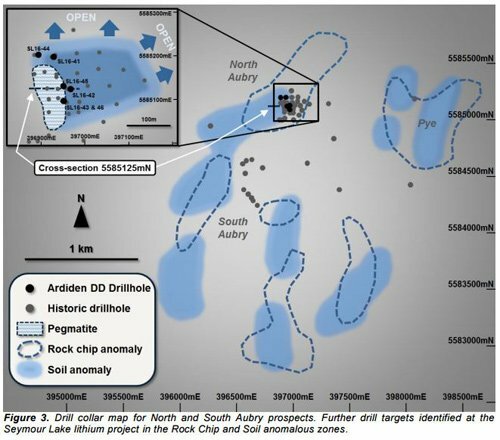 Ardiden Limited (ASX:ADV) will get more to chew on at Seymour Lake after it confirmed that key structures remain open at depth – and it had found a brand new pegmatite structure. 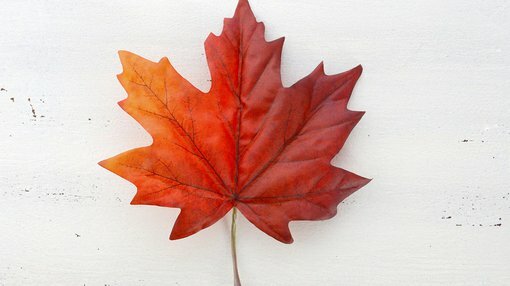 The company had previously announced that after a due diligence drilling campaign at the project in Canada that the project contained lithium oxide grades above economic levels. It told its shareholders today, however, that the drill data had also shown that the key North and South Aubry prospects remained open – and that five more drilling targets had been found after a review of the data. An expansion of these prospects has the potential to significantly add to project resources, the company said, and that they would be the main focus of further drilling. ADV also told shareholders, however, that a review of historical data had firmed up a further pegmatite structure 1km to the east which has not yet been tested with the drillbit. While firm data on the ‘Pye’ pegmatite structure is not available at this stage, it represents an opportunity to firm up a prospect to drilling maturity. As part of the due diligence process, ADV had drilled six holes – mainly to confirm historical data at the project, but none of these holes were sunk into the Pye structure. Significantly, 30% of the 150 samples returned grades of greater than 2%, with the 5.4% assay found close to surface. More than 55% of the samples came back with a grade greater than 1%. ADV is currently drilling at the Root Lake project, another project ADV is looking at in Ontario with an eye towards taking a 100% option on it.